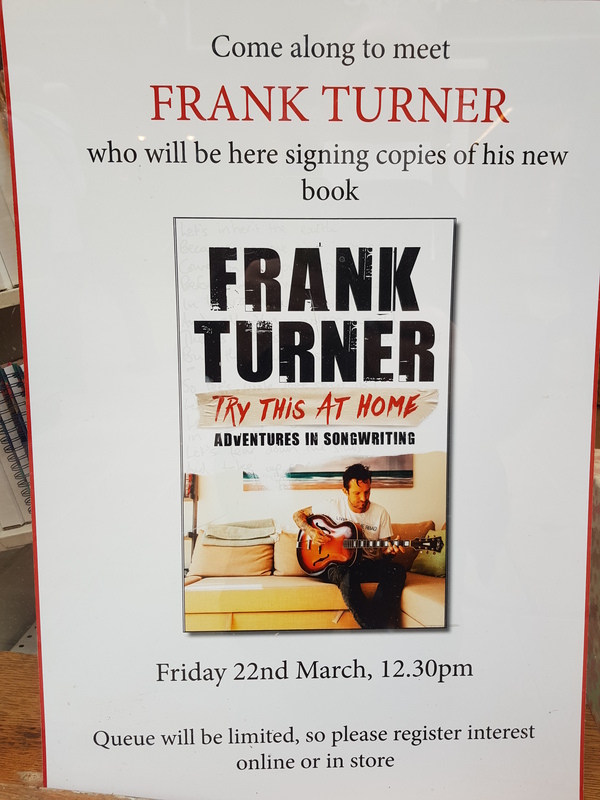 Saturday headliner Frank Turner will be signing copies of his new book at WH Smith in Winchester on Friday March 22 at 12.30pm. Around 300 people are already expected for what is proving a hugely popular session. Click here to reserve tickets. Tickets cost £5 but that is redeemable against the price of the book. It is a great chance to meet the singer-songwriter and to get in the mood for what is sure to be a fantastic show on August 3. 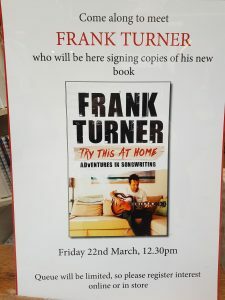 There has been a huge buzz since we announced Frank Turner will be headlining the Saturday night at this year’s festival. 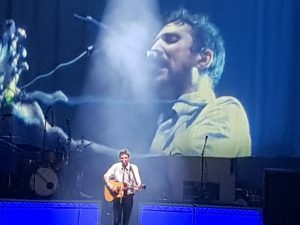 Ticket sales have soared with people eager to see what will effectively be a home-town gig for the popular artist. One of the hardest-working artists around with more than 2,300 gigs to his name, he has just concluded a sell-out nationwide tour including the 6,000-capacity Bournemouth International Centre.